Happy New Year folks. I hope that 2016 will be creative, crafty and a fabulous year for you all. Before we get down to today's challenge, our first of 2016, I would like to introduce three new members to the team. They have joined us from our Sister site, The Mirror Crack'd, which sadly closed in December. Hi, my name is Angela Radford I live in Lincolnshire UK, though I am a Yorkshire girl by birth. I'm an avid crafter with a big interest in Mixed Media. I particularly love to work with Steampunk, Vintage and Shabby Chic Styles. Steampunk because it’s so “quirky” and very imaginative, it encourages you to look at everyday objects in a different light to create fantastic works of art.I have always loved to create things and consider myself very lucky to have been able to teach Textiles and Art for so many years . Now that I am retired I have time to enjoy my passion for crafting. I only started blogging in 2013 but have met so many wonderful and talented people from all over the world who have become friends through our interactions with each other. Things that inspires me? Everything! Sometimes it’s just the texture of a card, a technique, a stamp or simply a colour. You never know what is out there, waiting to inspire you, just keep that creative eye open! I love to Recycle and Upcycle and I am fascinated by how 3D artifacts are put together. Once I understand the construction, I like to really try to create something that I’ve never made before. I like to experiment with new styles and techniques and what can I say, getting inky and messy is one of the joys of crafting. 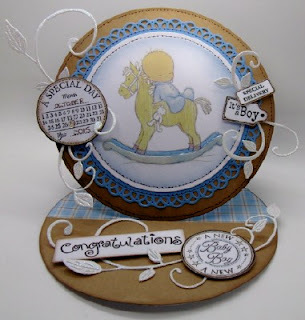 I hope that working with the team at Crafty Cardmakers will be a new challenge for me, to stretch my imagination and to come up with new ideas. I look forward to seeing what you all come up with too. 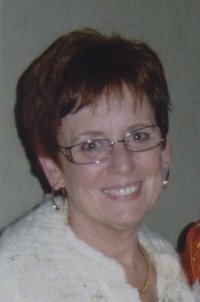 My name is Judy McKay, I retired 5 years ago and moved to the sunny Okanagan of British Columbia, Canada. I have two sons and 2 beautiful grandsons. I have an addiction to paper crafts in particularly cards, art journaling, and mixed media. I also dabble in paper making, encaustic art, fibre art, and altered books. 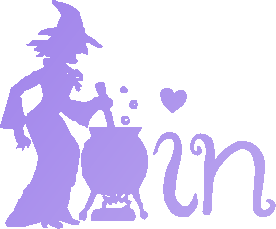 I am an active member of several card and mixed media yahoo groups and participate challenge blogs. I am very excited about joining Crafty Cardmakers Challenge Blog. My name is Ngaere Bennetts and I live in Eltham which is a small town in the North Island of New Zealand. I have a son and daughter and four gorgeous grandsons. I have been creating and crafting most of my life in one form or another. 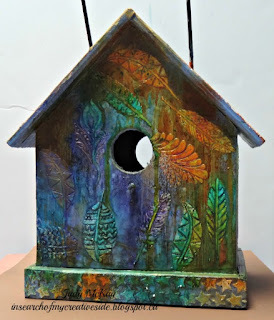 I became fascinated with scrapbooking a number of years ago and after making scrapbooks for my kids and their children I began to experiment with mixed media. This has now become a passion. I tend to have a unique perspective on things and usually end up making projects that are different in one way or another. I look at a project or material and think about how I can use it in a non traditional manner.. I love to recyle/upcycle items/ materials that would be normally thrown away into something unique and beautiful. I enjoy playing with new products and I believe in sharing what I learn with others. I participate in several challenge blogs as I find it keeps my thinking fresh and It motivates me to stretch myself artisticly. I am looking forward to being part of the talented Design Team at Crafty Cardmakers. You can see more of work on my blog at nysbiz.blogspot,co,nz. This challenge is being hosted by Sally so it will be her job to choose our winner and Top 5. You might notice I have given the blog a 'new look' to go with our new theme for this first challenge. I hope you like it. 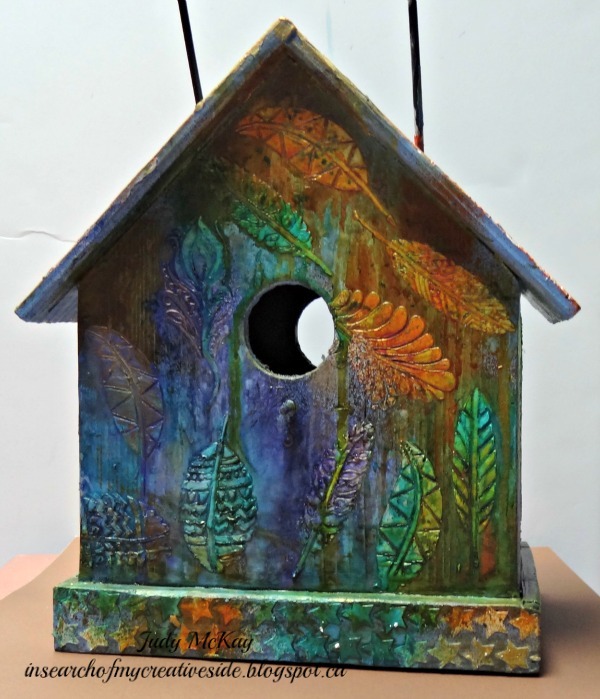 I decided to make a New Home card for this challenge using a stamp from Hobby Art and various dies to create my scene. With three nieces each expecting next month I had to make a new baby card! 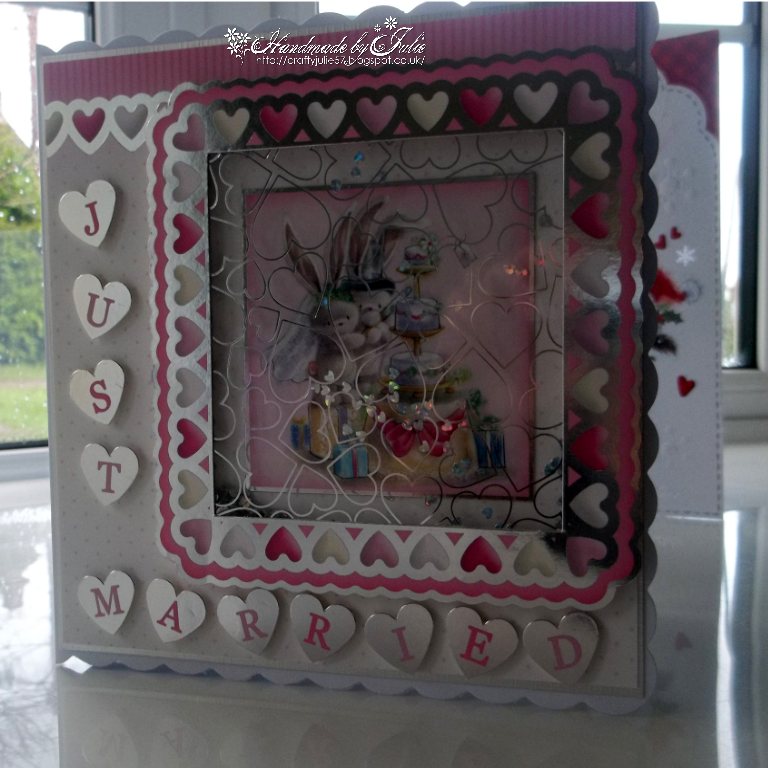 I chose a Tatty Twinkles stamp and framed it using a Tattered Lace die before matting it onto paper from an old magazine. 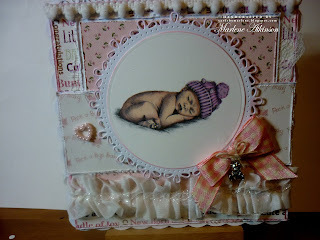 Like Mary I chose a Baby card as I had lots of them to make in 2015. This one uses a LOTV topper to create an easel card which always makes for a rather special card I think. Friends of mine are moving to a new house this week and I thought it would be nice to make a card to welcome them to their new home. I created the background with Distress Inks and white embossed on top and also used the adorable "Toadstool House" from Purple Onion Designs. Thought this seemed appropriate as I'm new here! The background papers are one of my favourite techniques, I made two Masterboards one white and one black (details are on my blog), the stamp is Clarity and the dies are Tim Holtz . A very simple card, using a die set I bought last year but hadn't used before. 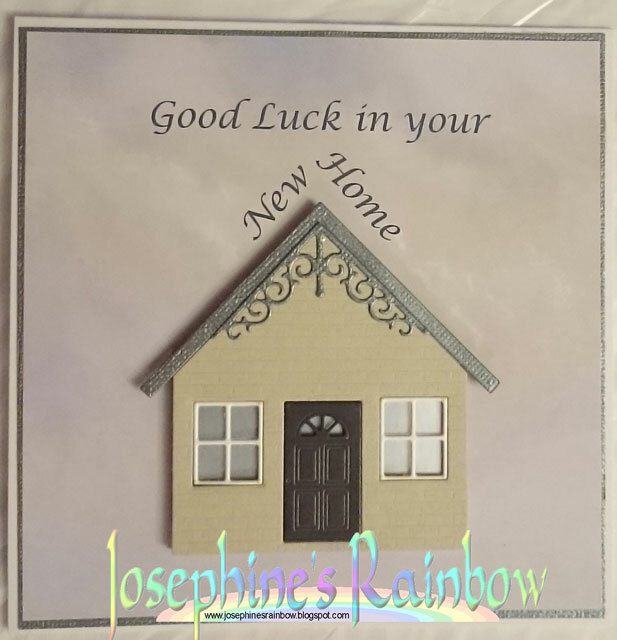 I backed the die cuts with a paper from the Thomas Kinkade CDRom from Joanna Sheen, and added the sentiment in Photoshop Elements. My niece is due to have a baby in a few months so I went with the Baby Theme. I used scrap bits of paper, cuttlebug embossing folders, alphabet dies and buttons/rhinestones. Using Bebunni love collection Cardmaking kit, I have made a shaker card. This is Lil Ballerina from Mo's Digital Pencil. I have chosen the theme "New Year". It's a perfect time to choose new goals and new dreams. 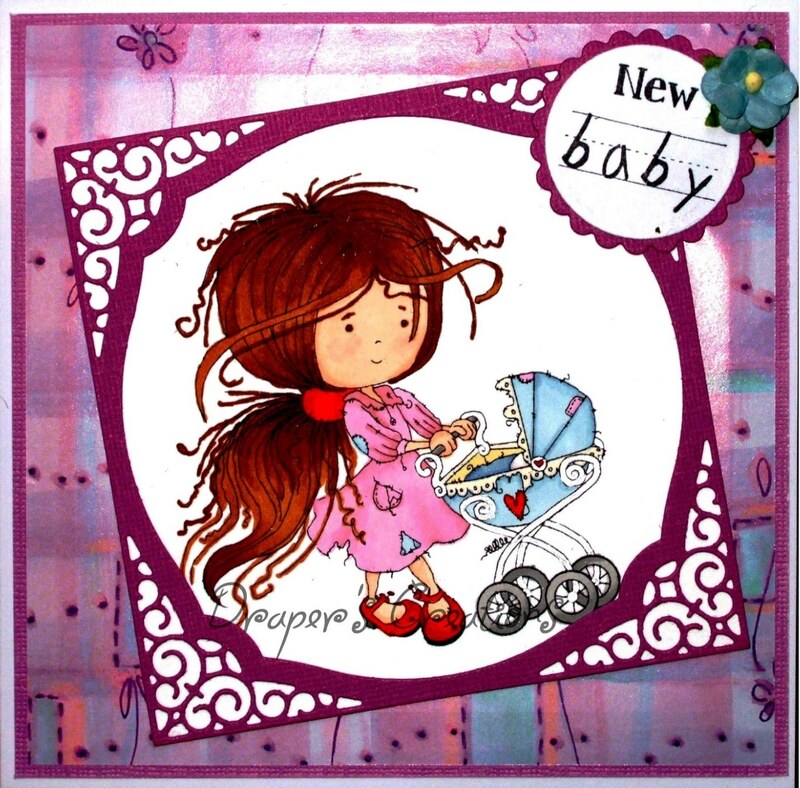 I have used the gorgeous "Enchanted" range from Simple Stories to create a new baby card. 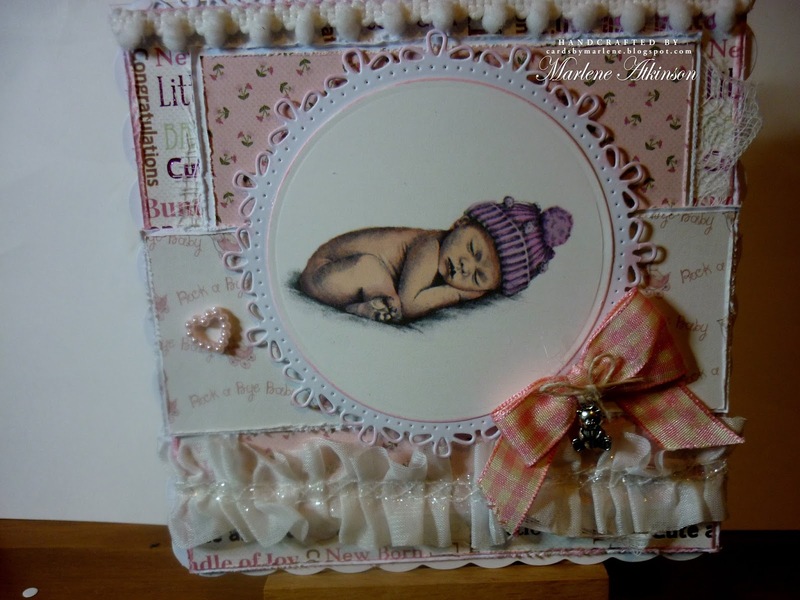 Starting the way I left off in 2015, I have used materials from my stash to make my card celebrating a new baby card. Happy new and crafty year to all DT!!! Fantastic and colourful inspirations and some cute creations. Wonderful Blog-Design - love the colours. PS: my link & card doesn't show is this normal ? Great DT work. I will play in the challenge but I have the card via the Inlinkz in placed but I do not see him again. If I try again. I read that he has already been placed. My card can be found here. Maybe he's only later be viewed? I left a comment on your blog. Your card is clearly a birthday card, our challenge is clearly a 'new event' challenge, as mentioned more than once in the post above. I did explain that if you had used your house as a new home card it would have qualified, but as a birthday card it does not. Hello, I am here for the first time and my link doesn't work . . . can you help me please?